Manchester United have made a start that is almost equal to the poor spell enjoyed by David Moyes at a similar stage last season. Fingers have been pointed at Louis van Gaal in the last few weeks. Even though United have had a much better performance throughout the 90 minutes in recent weeks, they still have not been able to get results on a consistent basis. The 2-2 draw with West Brom on Monday night is a perfect example, as United failed to take advantage of their dominance in the match. There could be more bad news in store for the Red Devils as Chelsea visit Old Trafford on Sunday. Jose Mourinho’s team this season have been the team to beat and they have showed this dominance by establishing a five-point advantage over Manchester City after just eight matches. After having seen City suffer a defeat against West Ham during the week, Mourinho will be looking to extend that advantage into a massive eight points. Van Gaal, though, is looking to spoil the party as he was to put one over his apprentice. He has reacted to the criticism levelled at him in last few weeks by saying that the media have not given him a fair chance. “Maybe you know that I am always a controversial person and a lot has been written about that, but I (have) an iron shield. It’s been like that since I came to England. Everyone can write or speak about me and I cannot change that. It took a long time for me to understand but I cannot change that. I have learned not to react and to believe in myself, my players and staff. That’s important,” said the United boss ahead of the meeting with Chelsea. He placed Mourinho as one of the best coaches in the world. Bolton Wanderers defender Matt Mills says that the club are prepared to back manager Dougie Freedman all the way. The manager has made a stop start to the new season after failing to win any of the matches so far. As a result, Bolton sit in a relegation zone after five matches this season with just one point on the board. Further continuation of such poor results will see the club relegated to the second division of the football league, which would almost kill the club that is already suffering from a lot of financial problems. However, Mills believes that the club will be able to improve the situation if the players remain confident and stick together. The only point that Bolton have taken this season has come in the 2-2 draw against Nottingham Forest, while the recently secured a 3-2 win over Crewe Alexandra after extra time in the League Cup. This was immediately followed by a 1-0 defeat against Leeds United that further threatened to end in Freedman losing his job. Bolton set to take over Sheffield Wednesday after the international break. This will be home match followed by a home encounter against Rotherham United. They represent ideal opportunities to take six points due to the home advantage according to Mills, who has featured in all the five Championship matches. “We need to stick together and work hard and when the tide turns we’ll start winning games like this four or five one. The manager is fantastic. He gives the players the freedom to go and express themselves. He puts a lot of trust in his players and the way we started the game I think a few let him down. Then we gave Leeds something to hold onto so it was an uphill battle,” said Mills, who has scored one goal this season. Bolton’s severe financial troubles in the last few years have forced them to stay tight in the transfer market this summer. This is despite manager Dougie Freedman being aware that the squad needs strengthening in some vital areas of the pitch. The manager has accepted that Bolton do not have a top class centre forward to lead the line. This could be a major problem for them, as they aim for promotion even via the play-off places. As the new season approaches, Bolton head to Watford for the first game of the season. Freedman says that it would be ideal to have a top-class striker in the team before the start of the match. However, since he is aware of the financial difficulties at the club, he says that it may not be easy. Bringing in players through the loan market is a viable solution and it has been successful for several Championship and lower league clubs in the past. Freedman accepts that Bolton may have to adopt a similar approach for the coming campaign. However, signing players on loan will also not be easy since there will be a lot of competition. Pre-season has been extremely positive for the club, as they have so far only one defeat and it came in the final match against Vitesse Arnhem. “When the money is not what you’d like it to be, you cannot dictate in the market. You can’t just wake up and say I will spend X amount on a player and go and get him. You have to look at loans or transfers when a club gets someone else in and it frees up players – that’s exactly where we are right now. We are only going to get to that position of bringing players in if the market starts moving in our favour,” said Freedman. Louis van Gaal went through his 2nd match in charge of Manchester United as the head coach of the Premier League club and his influence in the team has already shown positive results as Manchester United defeated AS Roma in a match that concluded with a scoreboard of 3-2. Manchester United took the lead in the 1st half through 2 goals from Wayne Rooney and 1 goal Juan Mata but the Italian side As.Roma got back in the match when Pjanic and Totti both managed to find the back of the net in the 2nd half but it was the team of Louis van Gaal that came out on top with the victory. It was a very entertaining match with both teams getting ready for the upcoming season but even with all of the recent signings, departures and positive results that Louis van Gaal has made since being delegated with the role of head coach, the Dutchman still has a lot of more things left to do before the start of the next campaign which kicks off on August 16. Van Gaal wanted the match to be stopped for another drinks break, like in the World Cup but Roma wouldn’t allow it. The Colombian Juan Cuadrado made a big impact for his team during the 2014 World Cup with remarkable performances throughout the entire tournament and now Manchester United wants to sign the winger from Fiorentina but will face stiff competition from Barcelona as they are also interested in securing his services. The player himself remains unsure about his near future as he revealed to the media after the World Cup was over. James Rodriguez has already been unveiled as an official player of Real Madrid and now the future of Angel Di Maria is being fought between Manchester United and PSG with both of those clubs leading the race to sign the Argentine midfielder. The future of several Bolton players is a major doubt since they are either out of contract or the club is unwilling to spend huge amounts of money to renew their deals. Manager Dougie Freedman has his work cut out in order to convince as much as five players to stay at the Reebok stadium beyond this season. It also remains to be seen if he will be willing to keep those players considering that some of them have been suffering from numerous injury problems. As a club, Bolton are in financial meltdown after they recently revealed debts of about £ 160 million. Getting to the Premier league will help solve the financial problems to a great extent, but the club are also aware that they cannot overspend in the hopes of achieving this dream. Freedman will also have to assess the futures of two senior players, who have spent time away from the club in the hope of getting first-team football. Freedman says that he is likely to hold onto most of his current players with the likes of Zat Knight being offered new deals. Stuart Holden and Chris Eagles are some of the other players coming to the end of their deals. Rumours have suggested that Freedman may look into selling some key names like Sordell, but he has rejected those rumours. “The plan won’t be ripped up. There will be a natural progression because there are contracts up, some players will be coming back from loans too. There will be a natural turnaround and it will enable me to bring in more players I think can cope with the Championship. I have three or four targets that are already lined-up but there will still be a good nucleus of players here,” said the Bolton manager, whose team are 17th in the table. Bolton Wanderers continued their slide down the table after a 1-0 defeat against Ipswich Town. This result has left them in the 18th place. Even though they are separated from the relegation zone by a comfortable 10 points, the current run of form threatens to pull the club into the relegation zone if results do not improve. Manager Dougie Freedman recently received the dreaded vote of confidence after the defeat against Ipswich. The club has managed just one in the last nine matches, which is threatening to pull them closer to relegation trouble. Freedman has accepted that he will be taking the blame if Bolton failed to stay up, but he is confident of avoiding relegation. The club are suffering from severe financial troubles after they recently revealed debts in excess of £ 150 million. The only way of recovering from this trouble is by getting back to the Premier league, which recently came to an end after more than eight years in the top division. They failed to get back last season and are looking on course to stay in the second edition for another season. For now, avoiding relegation is the most important priority since they will continue to get the parachute payments next season. Freedman has said that he needs the support of fans over the next few weeks in order to help the club out of trouble. “It’s a wonderful club and it’s one I want to take forward but right now we’re in a difficult moment. It’s not a time I want to start blaming people, that’s not my style. Of course I’m responsible; I’ll take the blame if people are dishing it out. But I need to make sure we’re all in it together and that includes the fans. Yes, we are letting the away fans down right now,” said Freedman. 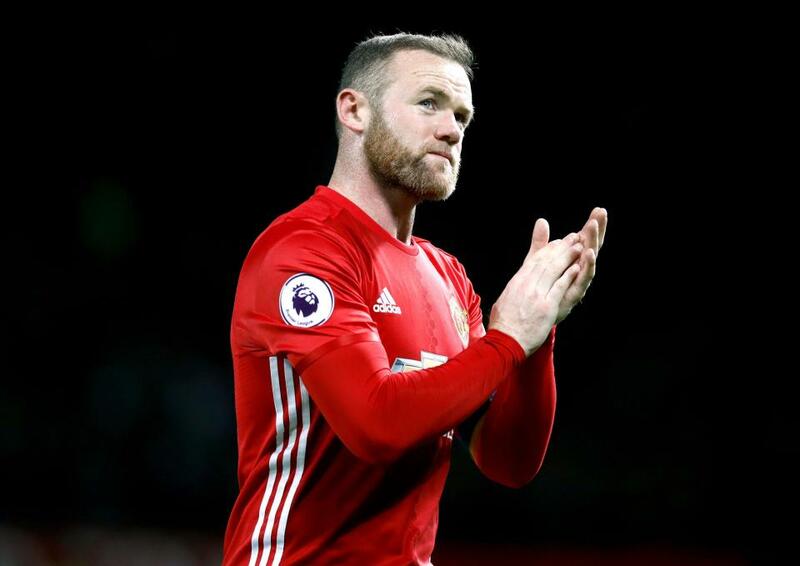 Manchester United is all set to restructure its squad this summer which could mean the axe falls on some of its existing players. One of the most possible names to be axed is Dutch captain Robin Van Persie – he is odds-on to leave according to one online betting offers website. 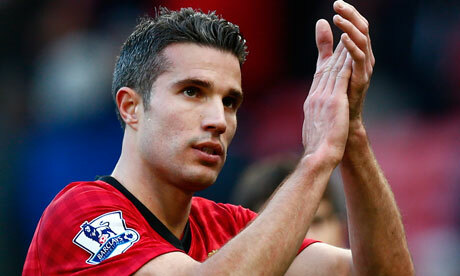 After Vidic’s announcement on leaving Man U for a fresh challenge, speculations were that persie could be the next skipper. After all, the soccer star is that present captain of Netherlands soccer team and also holds experience of leading Man U arch rival Arsenal. But a recent article published on Man U website has shattered all such speculations by omitting Persie’s name from the possible Man U captain roster. It is now being said that with Manchester United boss David Moyes prepping up for a series of new signings, Van Persie might be out of the team by the end of summer season. According to sources, Moyes has planned a grand 200 million pounds for world-class signings as part of their team restructure campaign. With Vidic and Patrice Evra moving out, it’s only natural for the Old Trafford club to look for new stalwarts in their squad. As there is not enough room inside the squad at present for the new signings, there are high chances that Moyes could order a depart for 4 team players. Persie does not claim a happy innings with the Old Trafford club and has even tagged playing under Moyes as a frustrating session in his career. 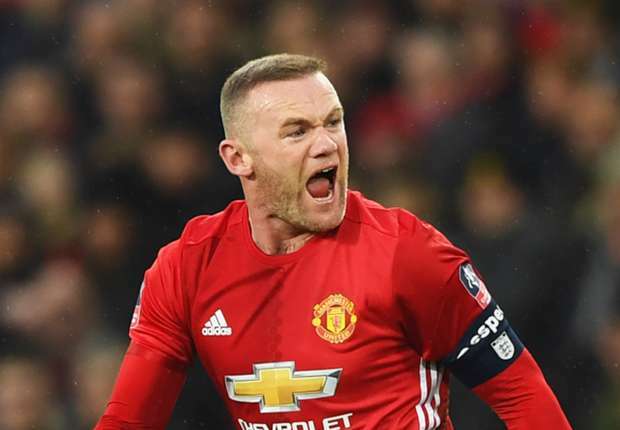 Over time, he has reported of increasing differences with the Man U boss which could be a string reason of the Dutch captain’s name in the list of possible players to be excluded. The other possible names to be excluded are Javier Hernandez and Nani. Man U is planning to sign in Mario Mandzukic from Bayern Munich & Edinson Cavani from PSG. As Bolton Wanderers continue to struggle in the Championship, pressure has been increasing on managed Dougie Freedman. The club, who were relegated from the Premier league only a few years ago, are in danger of slipping into the third division of English football. The CEO of Norwich City, David McNally, has said that there can’t be anything worse than relegation for his club, not even death. The Canaries are not in the relegation zone at this point of time though, but, they are not completely out of danger. Their points’ tally shows 20 and that is not too much more than the total no. of points secured by the three bottom teams. Chris Hughton who is in charge at Norwich has had the backing of the club board during this tough campaign, despite that; he would be feeling real heat. In the last couple of games, his team has got completely thrashed by its opponents. In the next few weeks, the Canaries will have some tough tasks in their hands as they will be confronting sides like Manchester City. According to McNally, the only goal for his team now is to keep itself away from the relegation zone somehow, but, the way Norwich is performing, it doesn’t seem they would be able to stay away from that zone. Norwich City’s next match is a Premier League encounter against Hull City. That game will be played at the Carrow Road Stadium this Saturday. Bolton Wanderers recently managed to end a poor run of form at home by managing to win against Millwall in the Championship. The team had gone without a victory in the opening 10 matches of the season. Despite this, they have managed to collect 11 points as a result of recent form away from home. Manager Dougie Freedman has been targeting a home victory for a long time and he was finally pleased to achieve this victory. This was the first victory for the club at the Reebok stadium since April, which made it all the more special. Bolton made a poor start to the season, but this victory means that they have now won two games in succession. They are undefeated in the last five matches and this run of form has helped them move into the 17th position. They are already five points clear of the relegation zone, which will be good news for Freedman. The fact that they have a buffer between them and the relegation zone will relieve some of the pressure on players, which in turn has been responsible for the poor run of form. Freedman has said that the team are slightly better tactically than they were at the start of the season. “We’ve stuck together, we tried not to get too down on ourselves and we worked hard on the training ground. We had a disappointing start and let’s not shy away from that. I’m not satisfied at all with that start, but we’ve taken it on the chin. We’re tactically a bit better now and that’s resulted in a few good performances and a good few points, which I think we’ve deserved,” said the Bolton manager to the BBC after the match on Saturday. He says that he is pleased with the progress.